Baraja Gallega was designed by cartoonists and caricaturists Pinto Chinto (David Pintor & Carlos López) and published in conjunction with a scratch card competition run by the newspaper “La Voz de Galicia” in April, 2002. The prizes included a Hyundai Accent CDRi and 1000 euros in cash. The usual suit symbols have been replaced with objects associated with Galicia: scallop shells, umbrellas, bagpipes and barnacles. 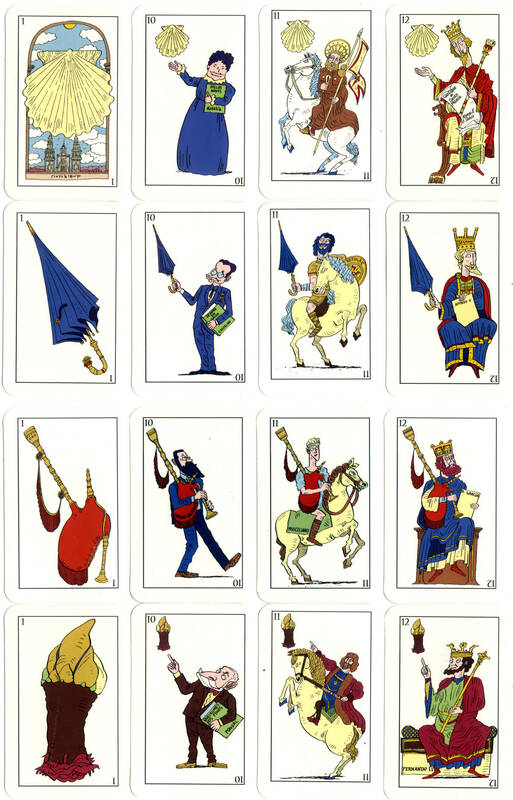 The court cards depict Galician historical and cultural personalities such as Rosalia de Castro, Alfonso X and Castelao. 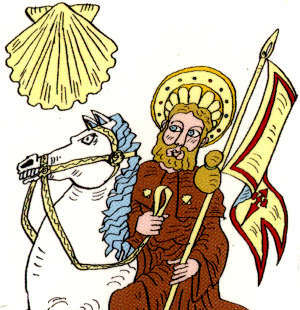 Above: Baraja Gallega, designed by cartoonists and caricaturists Pinto Chinto (David Pintor & Carlos López), whose signature appears on the Ace of Scallops. 40 cards in box. 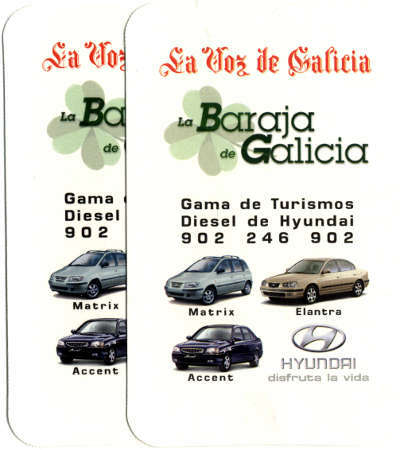 The back has an advertisement for the newspaper “La Voz de Galicia” and Hyundai cars.